OVER 10 players organiser plays FREE!! If your planning a game check out our helpful downloads opposite. 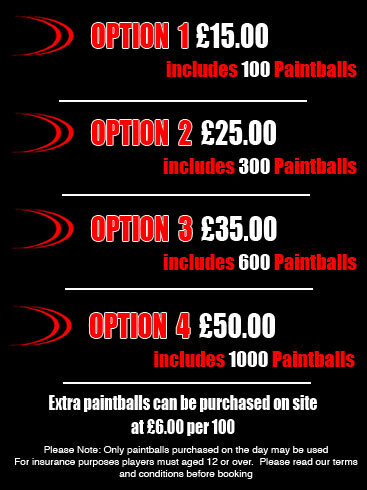 game call us on 0161 707 5301 or 07931937355 lines open 9am to 8pm alternatively you can email us your requirements and we'll call you right back!! A £10.00 desposit is required to secure places. 1.Call or email us to check the availability of your chosen date. 2.Call us on 0161 707 5301 or 07931937355 and pay by card. Lines open 9am to 8pm. 3.Complete a booking form, which can be downloaded below, and post to the head office address provided.